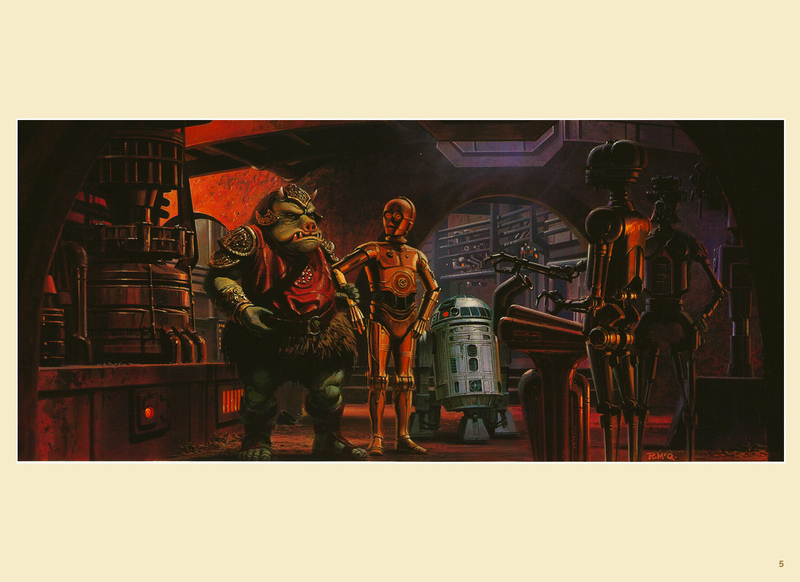 Star Wars: Return of the Jedi Portfolio, Plates 1-8 (1983) | 'TAIN'T THE MEAT… IT'S THE HUMANITY! 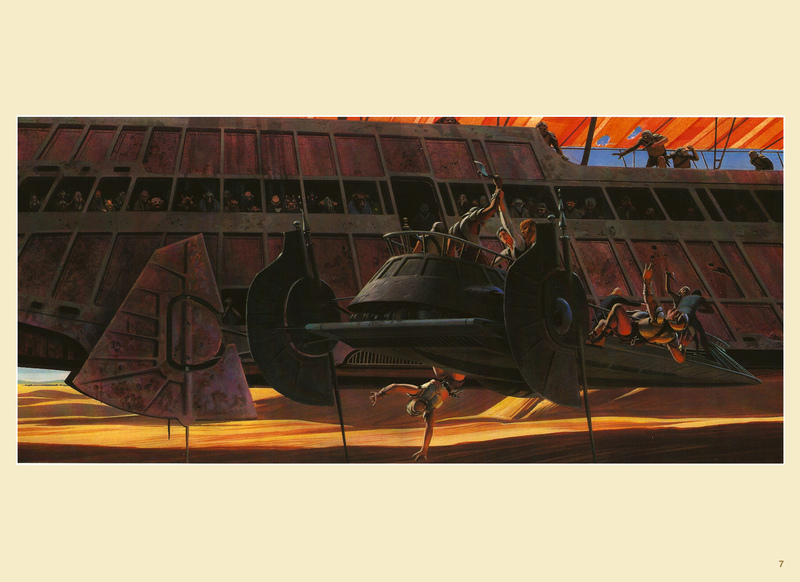 The Star Wars: Return of the Jedi Portfolio was published by Ballantine Books in 1983 and featured 20 full-colour production paintings by one of the film’s concept artists, Ralph McQuarrie. 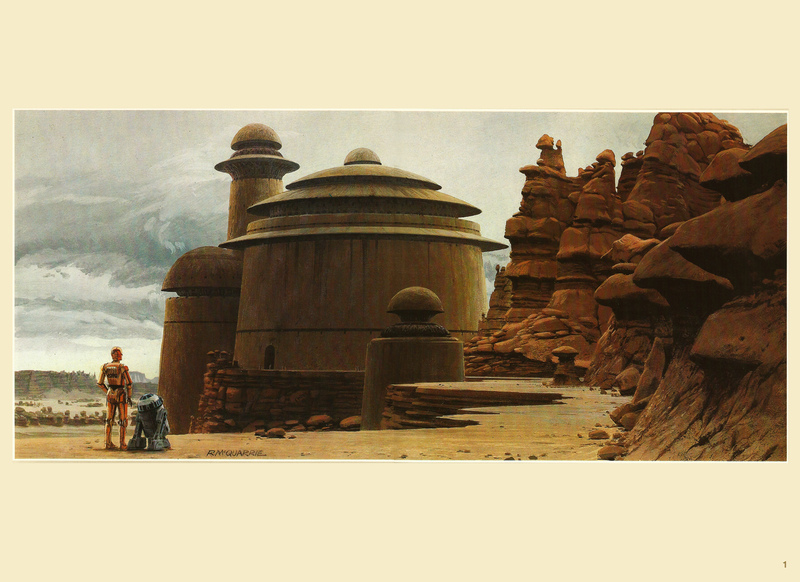 McQuarrie had worked on Star Wars and it’s sequel, The Empire Strike Back, helping to shape their unique visual style. 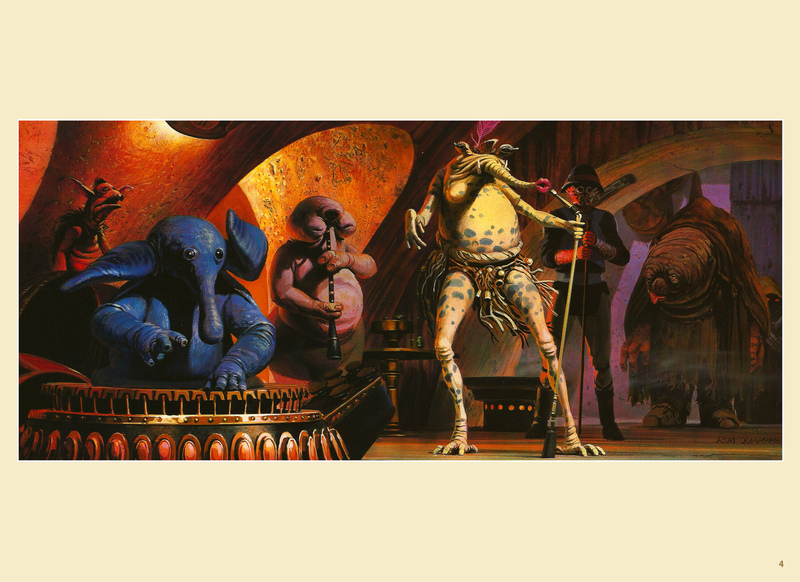 Portfolio sets for both those films, also published by Ballantine, featured concept and production paintings by the artist, and had proved a great success with fans (the Star Wars set sold over 250,000 copies). 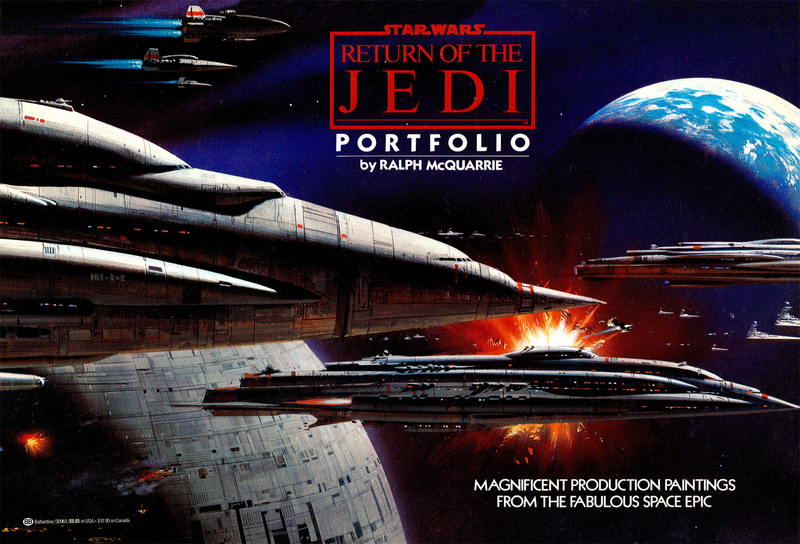 Ballantine clearly hoped that a portfolio based on the trilogy’s third film would prove equally popular (click here for a closer look at the Star Wars Portfolio). 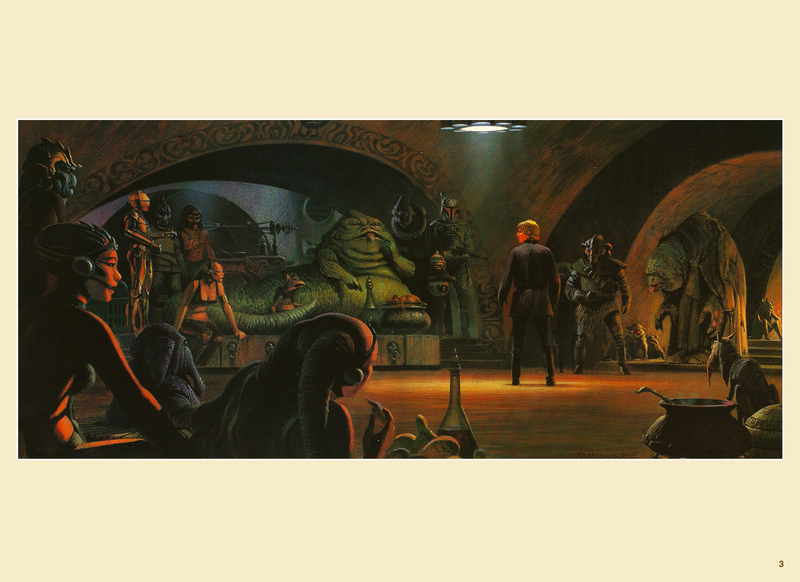 The Star Wars: Return of the Jedi Portfolio sold for $9.95, and each 15.5 x 11in print featured iconic scenes from the film printed on high-quality paper stock. 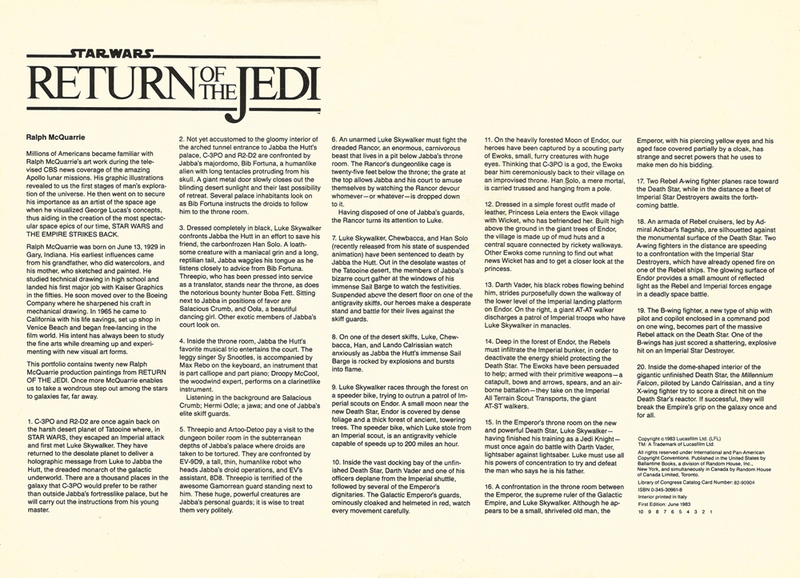 A text sheet with a biography of McQuarrie, along with captions for all 20 prints, was also included, and the set shipped in a sturdy fold-out cardboard folder. 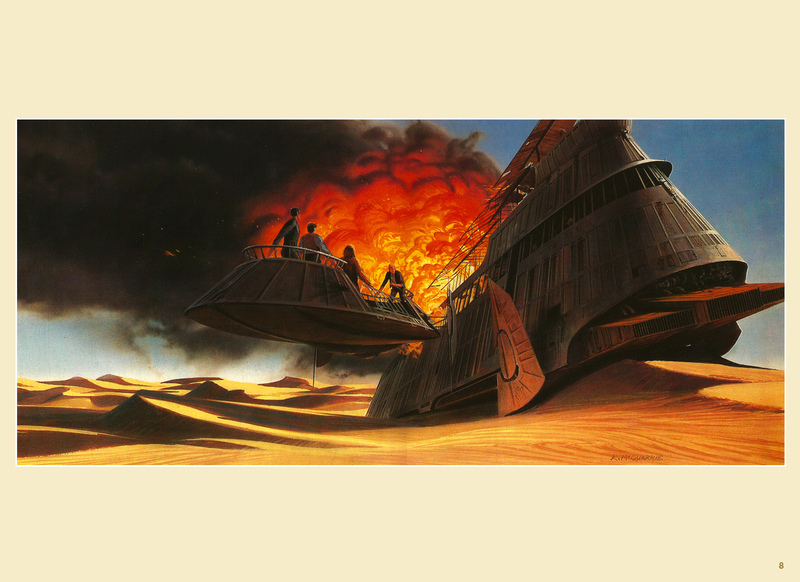 Unlike the portfolios for Star Wars and The Empire Strikes Back, which featured early concept art by McQuarrie, the Star Wars: Return of the Jedi Portfolio collected paintings the artist made after principal photography was completed. 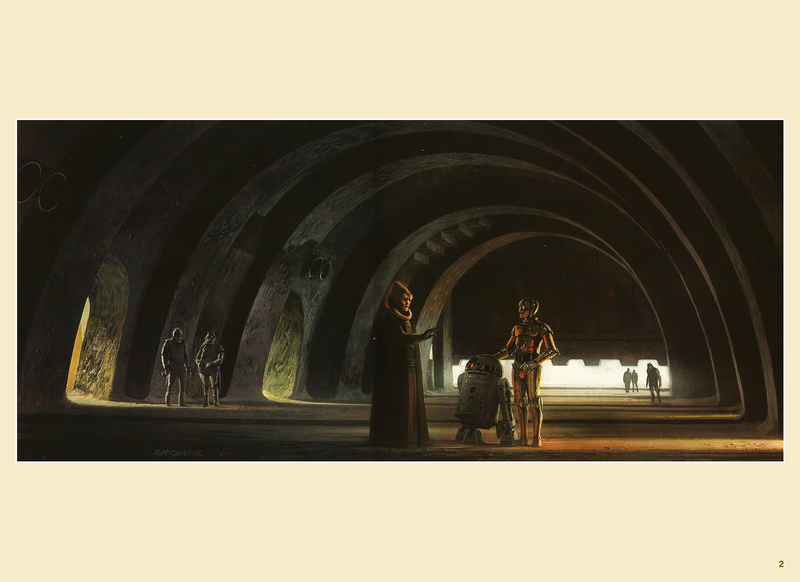 McQuarrie worked from stills taken during filming so his artwork is his own interpretation of the scenes rather than concept work. 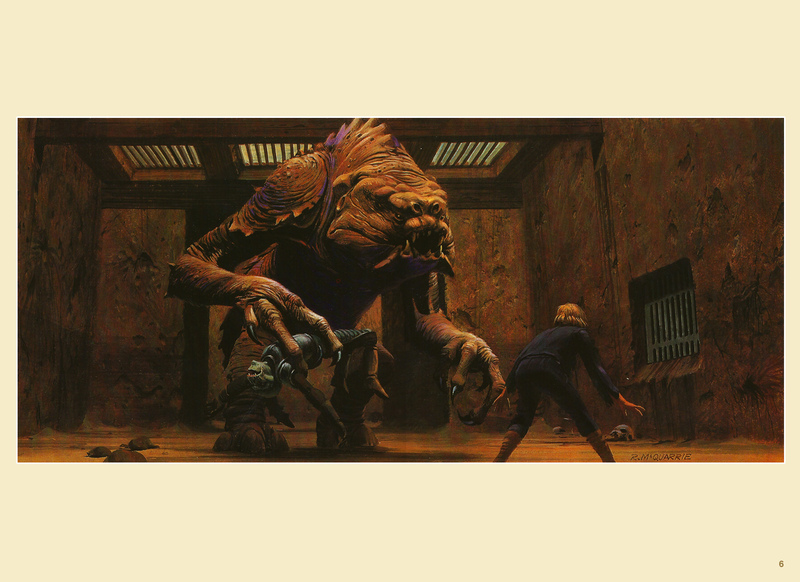 Below are the first set of prints from the Star Wars: Return of the Jedi Portfolio – Plates 1 to 8 – which are all from the film’s first act: the rescue of Han Solo and escape from from Jabba the Hutt’s palace. I’ve posted the next set of prints from the collection – which depict the battle of the Moon of Endor – here.